20" Tall Indian Girl. 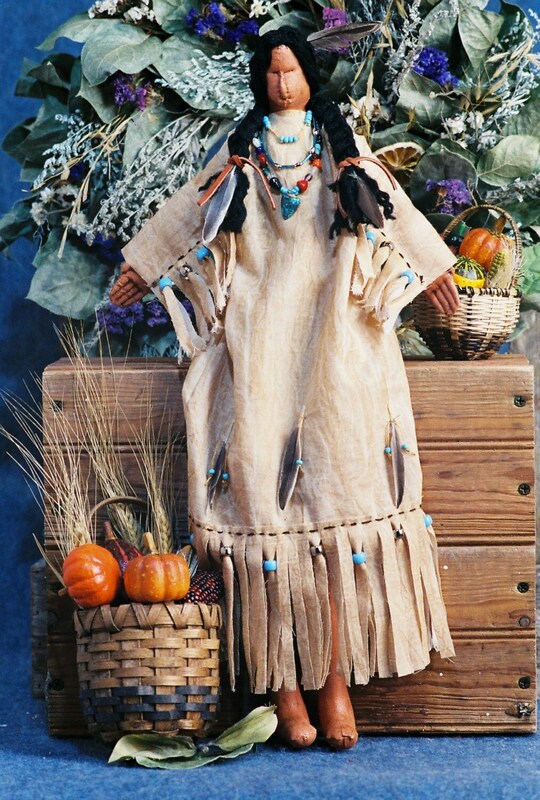 This doll is usually paired with the Pilgrim dolls in a Thanksgiving setting. Body is muslin fabric that is painted and stained. Face is needle sculpted, hands are stitched. Hair is yarn. She has assorted beads around her neck. Dress is adorned with beads and feathers. Easy to Intermediate Level. PDF includes easy to follow instructions, doll pattern, clothing pattern and a complete suggested materials list. Lovely pattern. Thank you for sharing.